THQ Nordic announced a remastered version of King Art's whodunit The Raven: Legacy of a Master Thief. It's coming March 13 to PC, PS4 and Xbox One, screens and trailer inside. 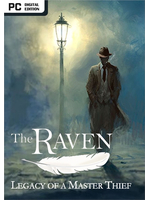 Vienna/Austria, Bremen/Germany, January 10, 2018; The Raven – Legacy of a Master Thief, the classic whodunit adventure by KING Art, is being remastered and will be released on PC/Mac, PlayStation 4™ and Xbox® One on March 13, 2018. The game will go by the name of The Raven Remastered and will not only feature fully remastered animations, lighting and hair in full HD resolution but also subtitles in French, Spanish and Simplified Chinese for the first time (already available in German, Russian, Polish and Italian). Im impressed. 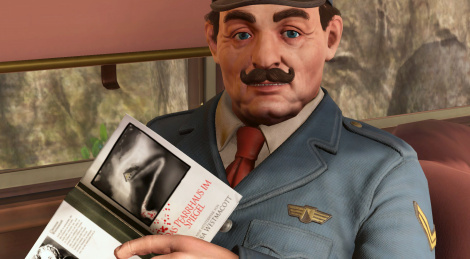 I like mystery games with good story. Think I will buy it. We have a few PC videos of the original PC version if you're curious to see a bit more gameplay footage.